The Angulo Magnum 60, the first real PWA slalomboard by Angulo has been tested for lightwind speed. The first thing that pops into my mind is WOW, how is this possible to make the first serie this good?!? 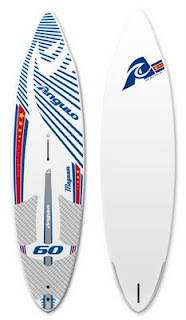 This board will not be my lightwind speedboard, the reason is because the board its sweetspot is more focussed on higher winds. 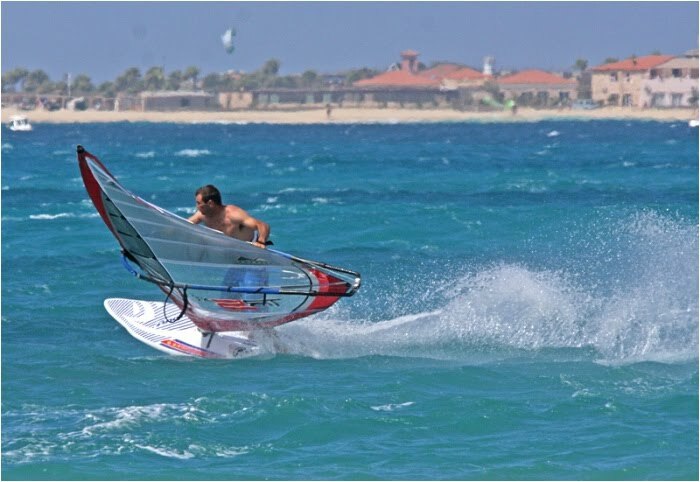 This was happening on the water, I tested 3 sessions, every time I was waiting for good wind. And when the board really aggresively accelerated in a controlable way I was sooo close to the Falcon 79 sweetspot. In other words, this board is too fast for myself as an lightwind-speedboard. Still I would recommend everybody to buy this board. It fits a lot of conditions, not like the falcon monoconcave which like flatter water or other shapes that seem to work on more specific chop. The speedpotential seems to be unlimited, like the fanatic falcon 80 or 79... I found the directional stability very good, it was easy to steer between waves, even at higher speeds. My best speed was about 68kmh/36.7kn on this board, I wanted to test this board on a flat spot because I think the board can do at least 42kn. The scoop-rockerline is very VERY good, wouldn't change that. The nose has not really a function I would say, it looks eehhh different. With these changes I wouldn't be surprised to have a speedboard with one off the widest range condtions ever. I wish I could try to optimize this board and see where it will take me, however I made a little calculation and the new Fanatic Falcon 90 (2007) standing in the Kater-shop will be in my case best value for money. Someday I will be able to do this kind of finetune projects, without the danger of a season without a 100% good lightwind speedboard... Would be fun to do an article "how to make the perfect lightwind speedboard"
They reduced some material to reduce the weight without effect on the properties.